Grande Dunes is the premiere luxury development in Myrtle Beach, bringing an exciting new dimension of lavish living to the beach community. This extravagant master planned community is truly coastal living at its finest. Crossing the expansive bridge over the waterway, you will catch a glimpse of the beautiful homes, the stunning marina, parts of the award winning golf courses, and begin to feel how Grande this community truly is. 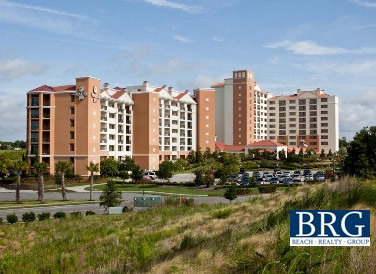 Grande Dunes is known all though the Grand Strand region as quite probably the top destination in Myrtle Beach for the luxury resort lifestyle. Stretching from the beautiful unspoiled oceanfront dunes at the shores of the Atlantic to the primal longleaf pine forests, this 2200 acre master planned development is the epitome of the coastal Carolina lifestyle. Available real estate options for Grande Dunes home buyers include villas and single family homes as well as gorgeous home sites with incredible views of the Intracoastal Waterway. Grande Dunes is located in the heart of Myrtle Beach between 76th and 82nd Avenue, just minutes away from shopping, entertainment, Myrtle Beach International Airport, and more. Mediterranean inspired architecture is throughout all of the Grand Dunes neighborhoods, which are found on the Intracoastal Waterway, the Atlantic Ocean, and both of Grande Dunes award winning golf courses. Boasting the Carolina coast’s most extraordinary and sought after address, Grande Dunes homes are the ultimate blend of style, luxury, location, and high caliber construction by some of the area’s leading builders. Grande Dunes Waterway homes stand out among other upscale resorts in the area, displaying luxury and opulence at the Grand Marina and Waterway luxury hotel called the Marina Inn at Grande Dunes. The marina has long been known as one of the top full-service marinas on the east coast and has 126 boat slips available with 1200 linear feet of boat docks that allow for yacht dockage up to 120 feet or longer. Grande Dunes condos range from golf course villas that offer carefree living, private elevators, large screened verandas, and beautiful views, to oceanfront high-rise condominiums that feature breathtaking views of the Atlantic and offer spacious floor plans along with the security of a gated entrance, to luxury condos located directly on the Intracoastal Waterway. 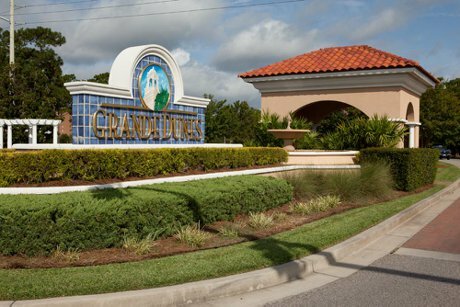 Some Grande Dunes condos allow short term rentals for the real estate investor seeking to purchase for rental income. Many communities within Grande Dunes still have available lots. Build your dream home today! For information on available vacant lots in Seville, Bal Harbor, Members Club, and Dunes Ocean Front please call us today at 843-424-6900. 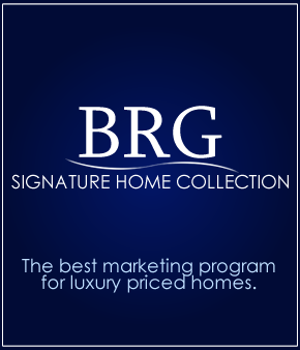 Contact us today to speak with a luxury home specialists about Grande Dunes Real Estate or to speak with us about our BRG Signature Home Collection which is our proprietary proven marketing plan for selling Myrtle Beach Luxury Homes. 843-424-6900 or email us.